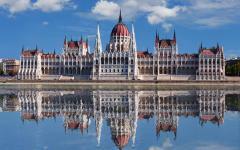 There is only space for the exceptional on this 17-day journey through the highlights of Central Europe. 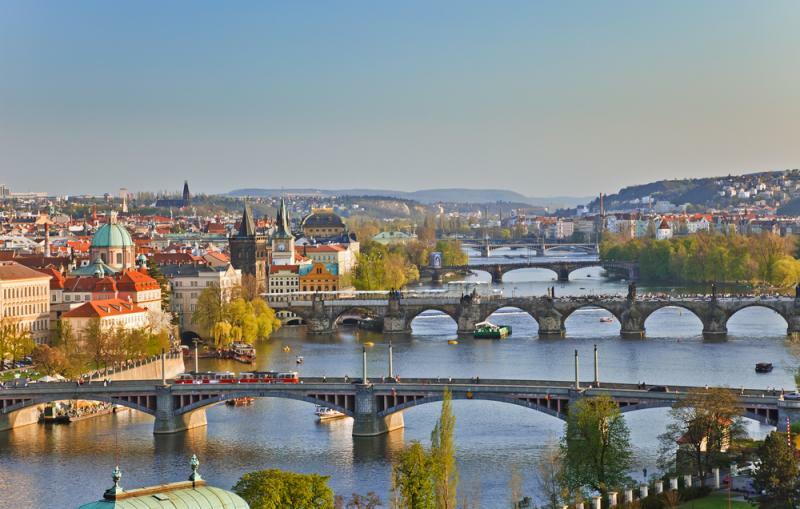 There is majesty in the medieval stone bridges that link Prague’s shores, while the splendor of the Danube River rushes from Vienna to Budapest. 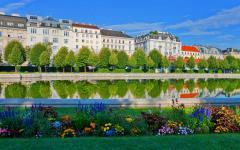 Experience the regal beauty of Potsdam and the diverse history of Berlin. From cities carved in salt mines to lavish opera houses, unique ossuaries to cities rebuilt in their own likeness, you will come to the wonder of Central Europe, highlighted and unforgettable. 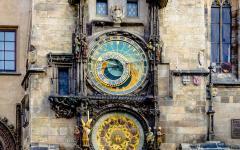 The best of Central Europe is no longer beyond your imagination on this 17-day Europe tour meant for medieval enthusiasts and historical wanderers, modern culturists and art lovers, history buffs and ardent explorers, or anyone filled with the longing to travel. The scope of landscapes and architecture is beyond fantasy, where the true history of cities and towns create the wonders that have inspired countries, each enhanced by the specific cultures that you will experience along your journey. From flavorful pastries to exclusive wines, famous walls to infamous gates, you will travel deep into the essentials of Central Europe and find quintessence. 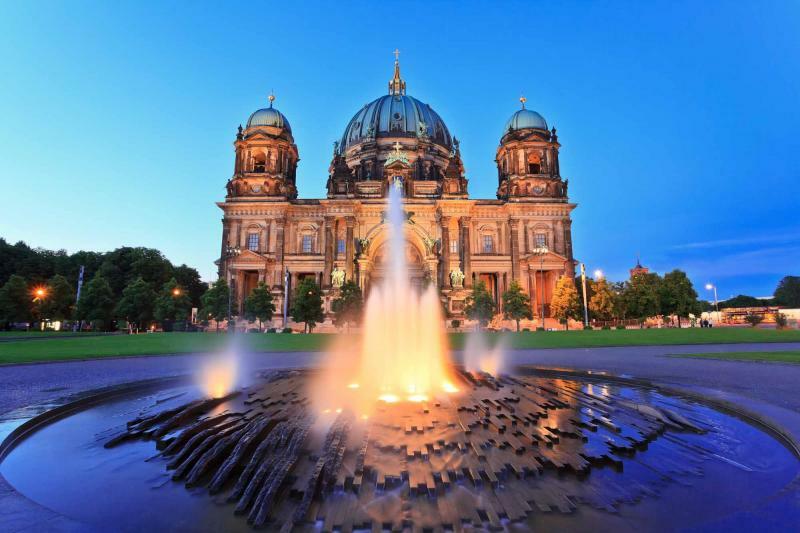 Customized for 2019, your European vacation begins in Berlin where the capital of Germany wraps around an expansive area and the past. 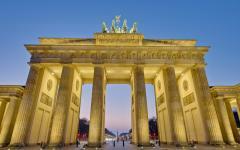 A guided tour of the city introduces you to the ease of the local transportation while offering you the grandeur of the city’s history, from Brandenburg Gate to the Berlin Wall, each a building block of the city’s past that has molded the current vibrant culture so celebrated by the locals and desired by the rest of the world. In Potsdam you will discover the royal elegance that continues to decorate the city like regalia, where tremendous gardens blossom and parks around the world pale in comparison. In the midst of your journey to Prague you have the option to stop in Dresden, a city rebuilt after World War II. Dresden reflects the same grace that once stood and now continues to wash over the city. Once in fabulous Prague you will see the quintessential streets and buildings that create Old Town. 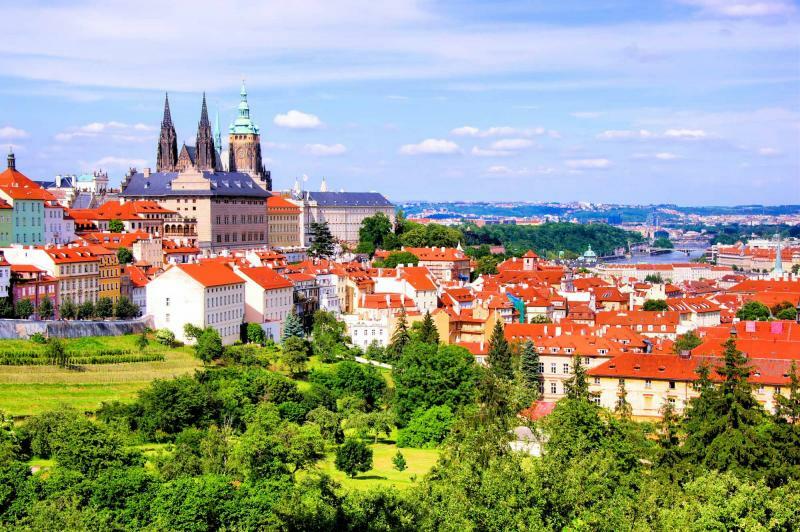 The medieval charm of the city, whether sunny and warm or covered in snow, surrounds you on a grand tour that takes you through the hidden streets, across the relished Charles Bridge, and along the courtyard of Prague Castle. Outside of Prague you will visit the village of Kutna Hora, known for the Sedlec Ossuary, a church decorated with bones in a phantasmagorical way. 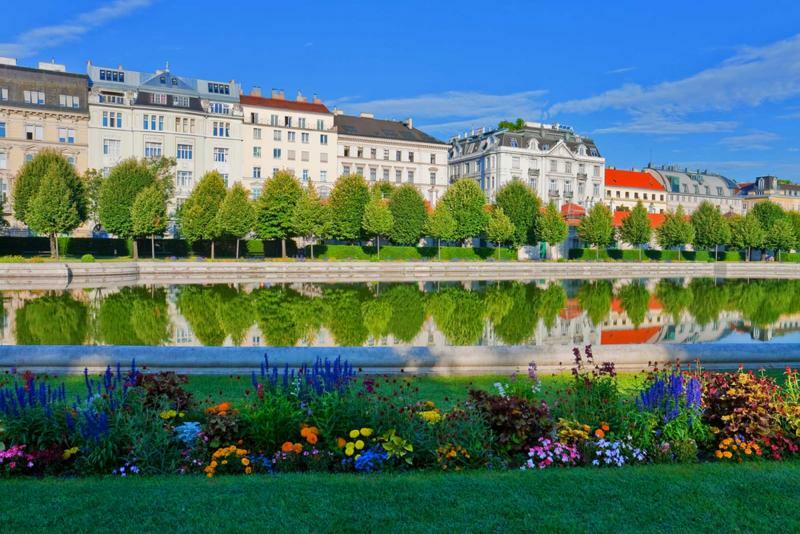 Your exploration continues with your arrival in Vienna, the home of Mozart, where rising historic architecture mixes with modern luxuries and bustling life. Tour the city to find the fabulous opera house and famed St. Stephen’s Cathedral. Vienna is a city where you can almost hear the music emanating out of any and every window. 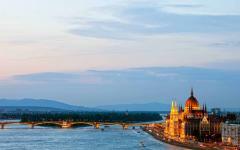 A comfortable train ride will have you in Budapest, Hungary, taking you along the open countryside and sharp mountains. 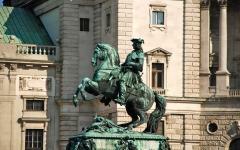 You have the option of traveling by private car with a stop in quaint Old Town Bratislava along the way. 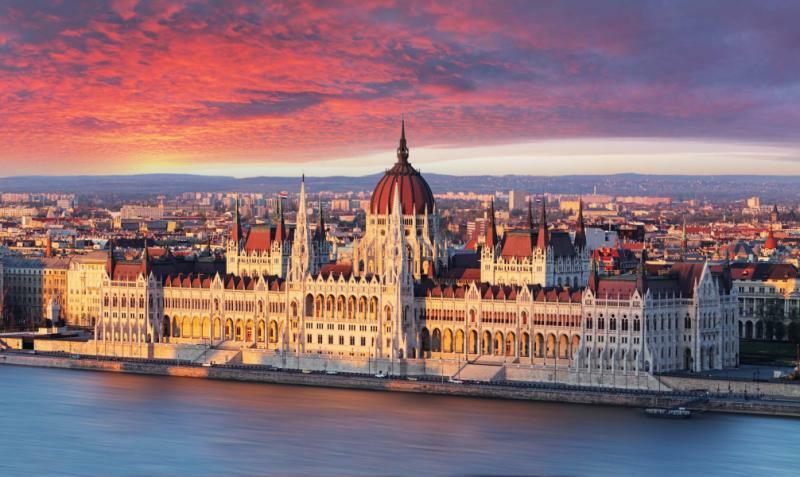 Budapest offers grand views of the Danube and fantastic living history, where the decadent halls of the Parliament share the backdrop of Soviet era seclusion. Taste the varied, copious, and unparalleled flavors of Hungary on the food and wine tour that will even give you a sample of the elite Aszú dessert wine. Enjoy a luxurious ride through the Tatra Mountains and into the one-of-a-kind city of Krakow, one of the oldest cities in Poland. Let yourself be guided through the grand streets, along the delightful trolley car, and through the Jewish Quarter. A visit to Auschwitz-Berkenau will show you the living history of World War II that once decimated Europe, and the cultures that called it home. You will depart from Krakow and begin your trip home knowing that the glowing horizon brought you the unparalleled and often overlooked beauty of Central Europe. For additional travel ideas, please visit the Europe tours page on Zicasso. Welcome to famous Berlin, a city that has withstood wars and revolutions and has somehow emerged with a brimming energy that pulses through the city. There is an endless, palpable charge that you feel the moment you arrive. The modern buildings mix with the historic; those of East Berlin that harken back to the communist era, and those that were rebuilt in a way that brings the charm of pre-World War II Germany back to the streets. The air is filled with more than just bratwurst and beer, where modern German chefs have brought the German tradition past the point of ingenuity, giving elegant fare to countless neighborhoods. Art is everywhere, within hidden galleries and draped over warehouses. The opulent and impressive pediment of Brandenburg Gate stands as the entryway to Unter den Linden, in a neo-classical style that brings grace and empowerment mixing with the modern streets of Berlin. 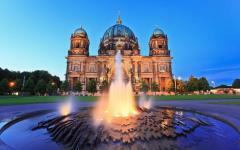 Berlin is a city filled with diversity spread over an expansive space. 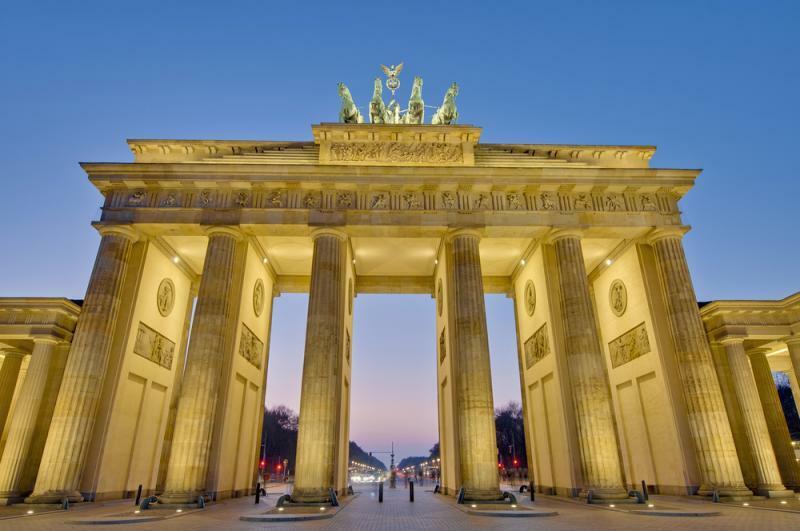 After a delicious German breakfast you can wander out onto the streets and witness its tremendous sights, from art to architecture, history to rubble. One of the most iconic images of Berlin, after the Brandenburg Gate, is Checkpoint Charlie, the infamous border crossing between East and West Germany. 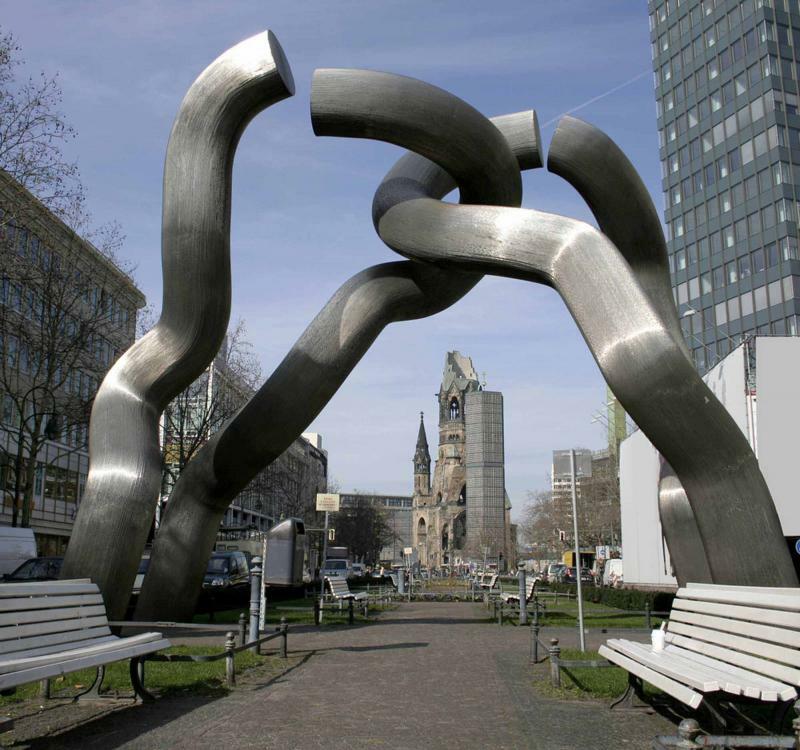 The remains of this symbol of Cold War are powerful and a reminder of the effect it had on Berlin and the entire world. The structure is small in comparison to the surrounding buildings but gargantuan in meaning. Remnants of the wall are on display in museums as a testament to Germany’s fortitude and perseverance, but there is still over a half-mile stretch known as the East Side Gallery. The Gallery has immortalized, not only the wall, but the art, displaying over 100 paintings, ranging from hopeful doves to memorials, making it the largest open air gallery in the world. The paintings give color and vivaciousness to a piece of history that had smothered a part of the world in gray. There is always more to see in Berlin, a majestic city of museums and modern art, but around Check Point Charlie it’s as if you can connect the past and present of the city in one long glance. Outside of the bustling urban landscape of Berlin is the elegant city of Potsdam, a place filled with pleasant culture and remnants of Prussian kings. Follow your guide through the fantastic charm of the city where the river trickles calmly, palaces grace the skyline, and gardens expand before your eyes. Sanssouci Palace, which is French for “without worries,” is a luxurious display of Rococo architecture, prominently showcasing the coveted artistry of the late 18th century. The vibrant yellow palace has a blue dome that beckons to visitors from afar, glinting in the sunlight. Through the decadent doors of the palace, behind the glistening halls, you will see the 700-acre garden that the palace overlooks. The garden is modeled after Versailles, and brings you to a brand new world of breathtaking. A wide staircase climbs down the terraced vineyard where earthy freshness overtakes the air. Marble sculptures, with a neo-classical style, bring Greek antiquity to fountains, and a swath of lush greenery blankets the garden. From trees to grass, fountains to sculptures, when you look back at the palace it’s like you have stepped into a decadent film, where you expect fireworks to paint the sky, while the shining vines climb the distant tiers and hold the palace in high regard. Today you will leave the magnificent culture of Berlin behind, making your way by private transfer to Prague in the Czech Republic. If you choose you can stop in Dresden and visit the tremendous city. The city is located in an idyllic location along the Elbe River, giving a unique tranquility to the urban landscape. The Gothic style churches and the colorful hued buildings guide you to the Old Town. The city was decimated in World War II, mentioned in the worldwide bestselling book, “The Book Thief,” now rebuilt and encapsulating its former majesty. The streets are clean, the people are friendly, and the architecture manages to bring a wide smile to your face. The Church of Our Lady was once left as a 42-foot mound of rubble from the 1940’s until the mid 1990’s. Now the church is a shimmering example of reconstruction, mixing stones that have made history, charred in the original bombing of Dresden and salvaged, now combined with lighter stones to bring a montage of the original plans from 1726 to the present. You will continue your journey to Prague. Arrive in the late afternoon and settle into your luxurious accommodations where the historic beauty of the city is sure to embrace you. 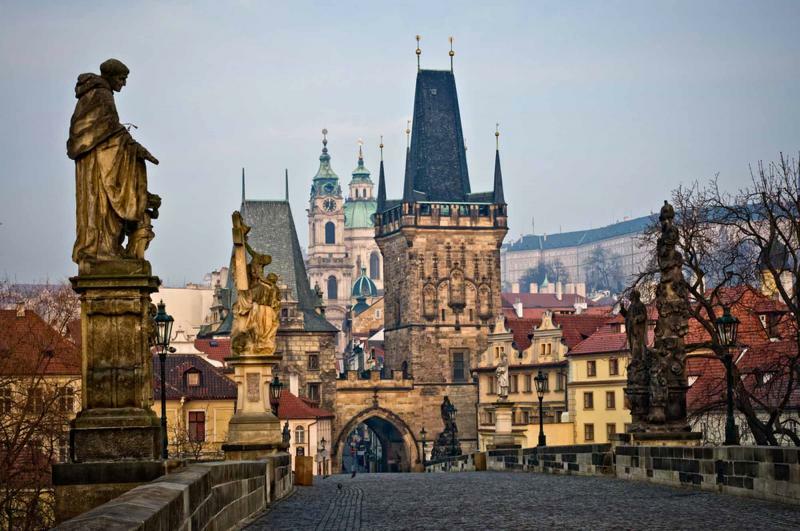 The most notable sights of Prague are wrapped in the streets of Old Town. You will find Prague Castle by following the Royal Road. It feels like you have stepped back into a medieval village, fanciful and welcoming. 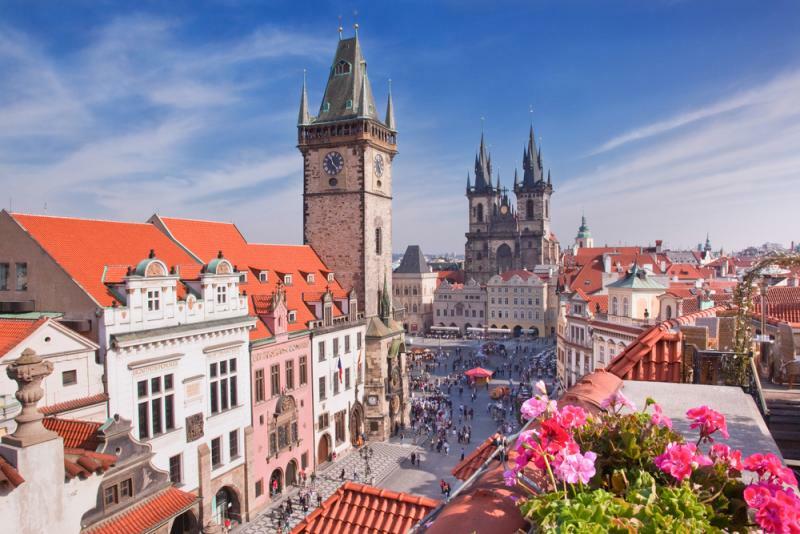 You will meet your guide after breakfast and enjoy a walking tour of the city that will guide you through the narrow cobblestone pathways and across the famous Charles Bridge. Old Town Hall stands as a testament to the old city’s charm and architectural stature, having been built in 1338. 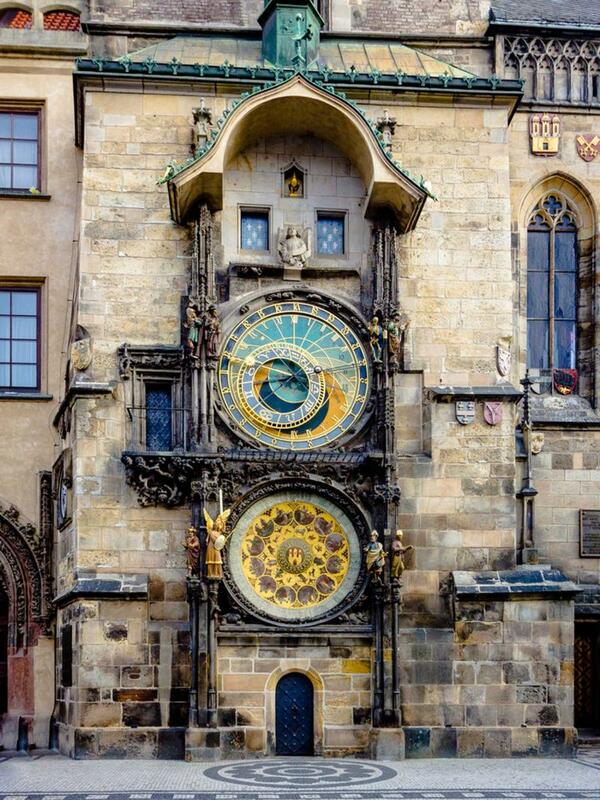 The Astronomical Clock sings on the hour, filling the open square with ethereal chimes. The Orloj, is the name of both the clock and the iron Calendarium, which fits over the stone tower, filled with remarkable coloration and design. In the Jewish Quarter you can find the rising New Jewish Cemetery that is famed not only for its unique and interesting design, but also as the resting place of celebrated surrealist Franz Kafka. 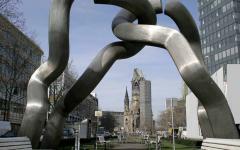 You will also find mesmerizing Art Nouveau monuments. The gilded colors sparkle in the morning light. When the ringing fills the square you can watch the windows of the tower open where a procession of the apostles takes place. Walking en route to Prague Castle you will cross the Charles Bridge, the most famous bridge in the city. The stonework replaced a wooden bridge that had been washed away in a flood. Thirty statues line the walkway, all depicting saints with 15 statues on each side. It’s the intricate detail and the graceful landscape that has made Charles Bridge such a compelling and tranquil place. Whether in crowds of visitors or in a silent dawn as the mist dissipates from the cityscape, the saintly statues and the unforgettable rising pillars, Old Town take you further into the past, where elegant storybooks were born. Upon entering the building you are immediately struck with a sense of macabre fascination, where 40,000 human skeletons decorate the interior structure; although many have been buried around, and in the church, over time, it wasn’t until the late 19th century that the interior became a masterwork of ossuary imagination. There is a dim light that gives sheen to the decoration, partially coming from the famous chandelier, utilizing every piece of a human skeleton. Sedlec Ossuary is a unique church with a one of a kind experience where artistic ends bring unparalleled fascination, and for good reason. 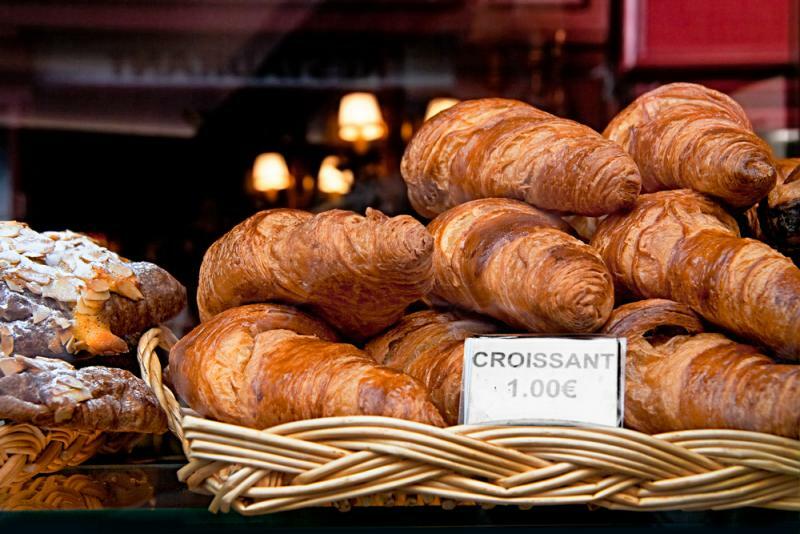 The morning brings with it the fabulous aroma of rich coffee and fresh, buttery croissants, created by the Viennese after the Christians defeated the Ottoman Empire in in the 17th century. 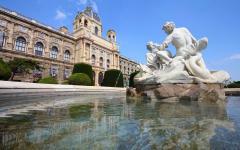 Vienna is a city that has effortlessly mixed its modern population into its historic charm. Old Town continues to impress and inspire, with gilded ridged buildings, topped with turquoise roofs, where pedestrians, bicycles, and cars all have their own lane. 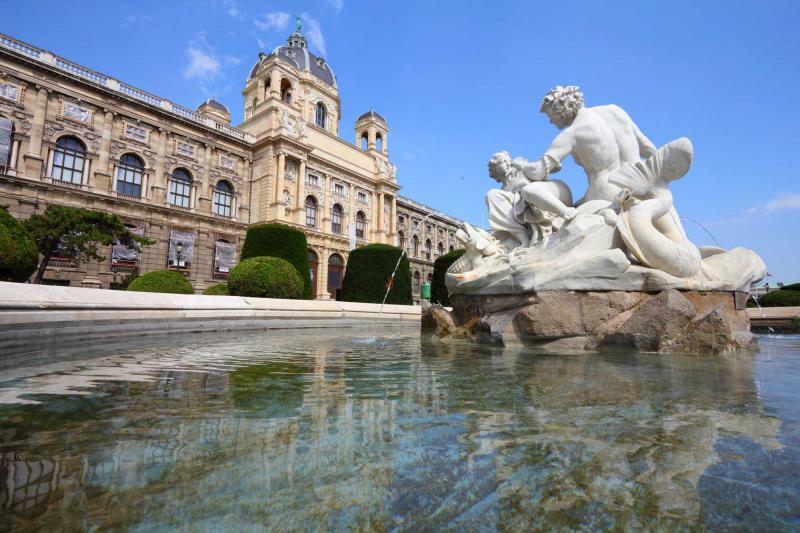 A tour of the city will have you out on the streets and enjoying Vienna as it needs to be seen, through experiencing. One of the most iconic images of Vienna is St. Stephen’s Cathedral, towering over the city at over 300 feet tall and 110 feet wide. The Gothic structure is empowering with one of the biggest free-swinging church bells in Europe, bringing an uproarious peel to the hour. The interior tile is checkered white and sepia with an atmosphere of aromatics. It is not hard to be awed by the stonework, creating a world of decadent architecture that drips like stalactites, while simultaneously making you feel wonderfully pious because of its grand design. The Viennese morning is calm as you try to catch a glimpse of light casting from the rising spire of St. Stephen’s Cathedral. A private transfer will take you from your accommodation to the train station where you will board your train bound for the imperial city of Budapest, Hungary. You have the option of venturing to Budapest on a private tour through Bratislava, Slovakia, where you can enjoy a day within Old Town, bringing you to the banks of the Hungarian stretch of the Danube River. Watching out the train window you can see the famous Austrian landscape, where mountains rise in the distance piercing the clear sky, while prairies sweep to the foothills. Delicious rich coffee and even richer hot chocolate brings comfort and relaxation in the cold months, while a refreshing Central European beer rejuvenates you in the warm summer. 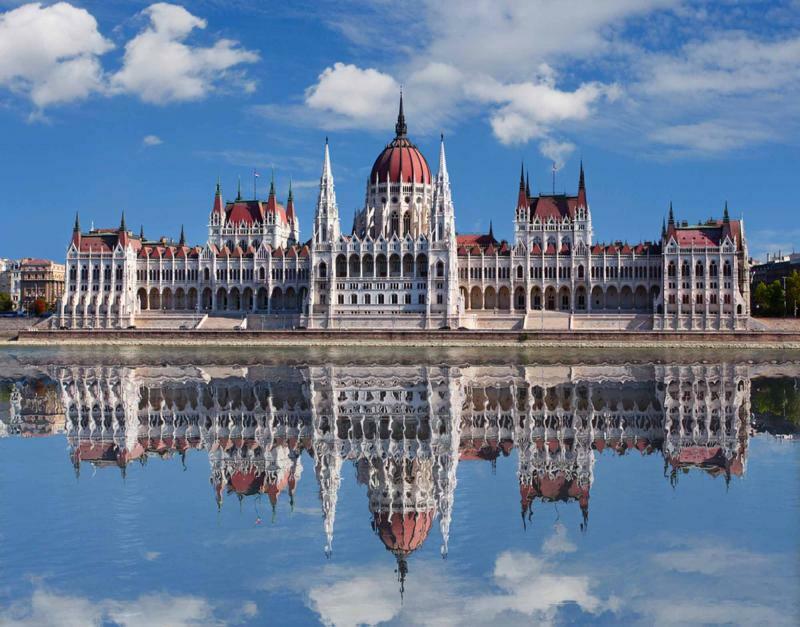 Arriving in Budapest brings you back to the wide berth of the Danube, where you can see the celebrated Hungarian Parliament building sitting on the riverbanks reflected in the water. 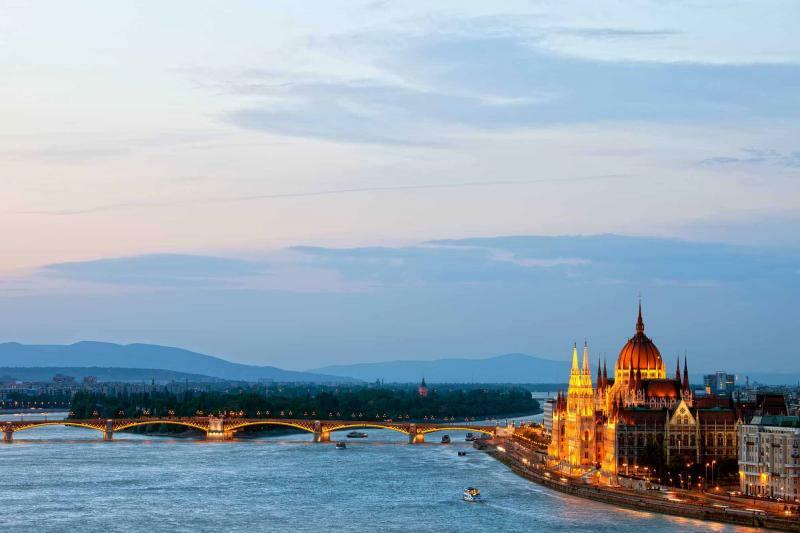 There is a casual importance to the Hungarian capital where the river separates the two sides of the city into Buda and Pest, a connection of a royal past and democratic present. Hungary is a diamond half hidden within the coal of its communist history, often overshadowed by a gray past and gray skies; when you look deeper you find the splendor of the landscape and the cityscape in the heart of Budapest. The morning light shines over the Danube and brings a sparkle to the cobblestones of the city. The boisterousness of the streets is from the active bustle of the locals en route to work, either hopping onto the accessible metro or within the fast, fun, and iconic trolley cars. 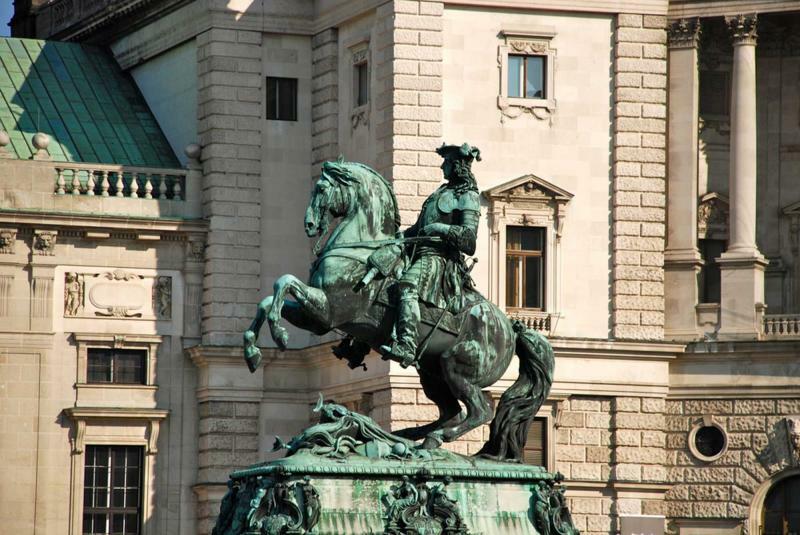 Meet your tour guide after breakfast and explore the streets and history of Buda and Pest, where the past and contemporary are practically connected by the Chain Bridge of 1849. Castle Hill is filled with the old city charm of medieval streets dating back to the 13th century and ranging to the Golden Age of the area in the 15th century. Eighteenth century Baroque buildings are close-knit and colorful, while the streetlamps bring that old world elegance to something as simple as lighting. Walk along the cobblestones to see the gothic arches that follow the same path as the original pathways. In Trinity Square you come face to face with Matyas Church, a pristine façade with a large rose window and grand multi-tiered spire. There is a smooth breeze that comes off of the river. Along Fisherman’s Bastion, you will find 100-year-old construction of archways and lookouts that commemorate the old fishermen protectorates. You will also have an expansive view of the city, overlooking what Buda and Pest have become, once grand apart and now immaculately inseparable. There is no better way to experience a new place than to dive into the flavors of its history. Hungarians are proud of their heritage and know that it can be summed up in a tasting of their magnificent cuisine, from its savory dishes to sweets, and often overlooked wine. Today you will have a guided tour of the Great Market Hall, where the locals shop, eat, and find leisure. The market is located within a large brick building, opened by surrounding arched windows that lead into the colonnade. The atmosphere is jovial and alive, where men, women, and children stroll through the aisles eating hearty goulash, trying cured pork, or staring at the colorful display of gummy-candies. The three-storied structure is busiest on the entrance floor. The deep red of Hungarian paprika lines many shop stalls. In the basement is where you will find the wonderful display of a local butcher who will have you enjoying a tender and succulent goulash, giving you the sweet heat of the broth and its meaty contents. Desserts in Hungary are out of this world, and if you prefer sweeter fare you can taste the delightful treats of Hungarian strudel and Dobos cake, a chocolate buttercream-layered sponge cake that has caramel topping and a nutty outer layer. Accompanied with a glass of Aszú, a dessert wine from the Tokaj region, pairs a splendid dessert with a drink that is considered one of the most exclusive wines in the world. 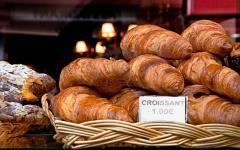 The lingering flavors of yesterday’s fabulous tour have you craving more: more sights, more tastes, more Europe. 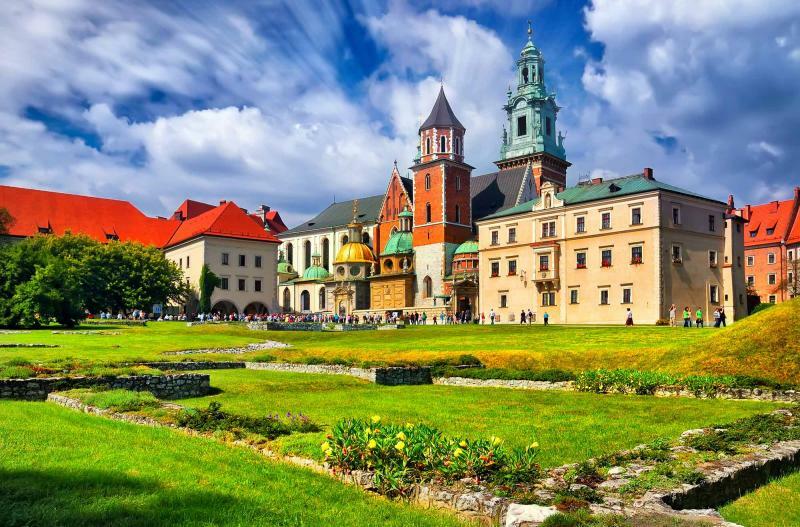 Today a private transfer will pick you up from your hotel and take to the storied city of Krakow, Poland. The landscape that surrounds you along the way is unlike any you have seen. The ride is comfortable and easy as the windows fill with sensational greenery. You travel along the Tatra Mountains that create a natural border between Poland and Slovakia where majestic limestone peaks descend into lush forest that give way to pristine, sapphire lakes. The air is cool and pure. Charming villages decorate patches of the countryside until you arrive in the graceful city of Krakow in the late afternoon. The scent of perogies, Polish dumplings, drifts through the Old City. The cobblestones and pastel buildings open up to the large, stunning square and welcome you to the historic but ever-new looking city. The open city of Krakow mixes one of the oldest cities in Poland with a rich history settled deep in its buildings and landscape. The day brings with it another fantastic tour that will have you walking through the magnificence of the cobblestone streets, around the quintessential architecture, and settling within the rich, buttery flavors of the city. The main square in the heart of Old Town is the largest medieval town square in Europe, over 400,000 square-feet and dating back to the 13th century. Cloth Hall, so named because of its connection to the textile market, stands in the center of the square and climbs into the open sky, once a center of international trade. Now the sensational spire towers over the Renaissance architecture, with multiple stories and expansive arched colonnade. The Jewish Quarter was once a place where residents of the city coexisted peacefully within the borders of the broader city. There is a notable difference in the architecture, with wooden shutters and obscure courtyards hidden beneath a timeless charm. The main neighborhood of Kazimierz has a wide and long cobblestoned street where the Old Synagogue sits. The synagogue now holds a museum where it displays remnants of life before World War II that made the city a haven for all faiths, within Poland’s oldest surviving temple. It is quiet and quaint inside the walls, filled with a tranquility that is hard to find in the emptiness of open spaces. What had become a desolate area filled with a traumatic past is now one of the most bohemian neighborhoods, filled with meaning and verve. 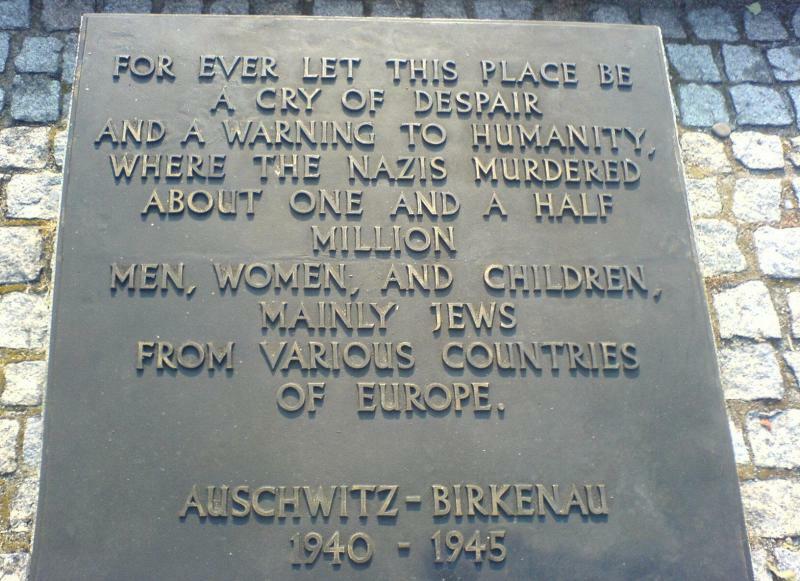 Today you will have a guided tour of the notorious Auschwitz-Berkenau concentration camp. Whether visiting in the foggy layer of the morning or in the warm afternoon, there is always a shivering chill when you enter the area. 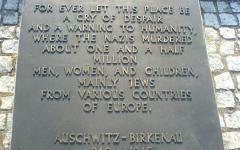 Auschwitz is not only important as an educational example of World War II, but also as living proof of what took place. There is an open space before your enter where an iron gate stands with German words that state, “Arbeit Macht Frei,” which means “work brings freedom.” Once inside the courtyard surrounded by stone buildings you will be guided through the remains of the camp, along with what had been left behind by the Nazi administrators and soldiers . The camp’s silence is thick and heavy. The displayed mound of cyanide canisters glows behind a glass window. Down the road you will come to Berkenau, where you will see the long structures that held deported “undesirables,” from political prisoners to Jewish Europeans. You can even walk along a stretch of the train tracks that had been used to transport them to the countryside. The day is illuminating in its severity but the effervescence of life persists, bringing more vibrancy to the present from a past that everyone will never forget. The pastel buildings and cobblestone streets will soon become a memory of this beautiful and underestimated area of Europe. Your private transfer will take you from your hotel to the airport where you will begin your journey home. You have seen castles and towns, mountainsides and amazing histories, along rivers and hidden in plain sight. 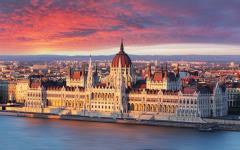 Even though you are traveling home you know that you have seen the best of Central Europe, from the flavors to the charm. As the flight begins to soar, there will always be a piece of you left behind waiting for your return. For more ideas for your next Europen vacation, please visit the reviews section of tour companies in Europe on Zicasso.